perplexus.info :: Shapes : Fixed length from unit square. Given a unit square and a fixed length, r.
Construct the set of all points which are at distance r from some point on the square. Find the area of this set. 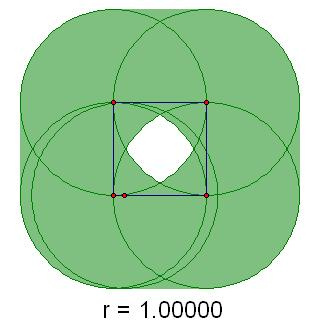 Note: A square is composed of 4 line segments, not the interior. For some values of r the set will have a hole in it.